Since this option includes at least 2 months of support, we have a longer timeframe and are able to build in literacy routines, change old habits and give you solid steps moving forward to keep it going. But, it's also Summer. So, we want to be a little more laid back. I can provide direct help with your kids over the summer as well. We can read books together, discuss in creative ways (reading journals, postcards, emails, Skype) and I can help prepare them for the year ahead. But on a less serious note. Summer reading should be a good time to increase reading for fun as well. I will provide you with parent tips and parent professional development as in-depth as you want or will use. This could include me showing you how to do something, what a specific reading technique entails, background research - anything that makes sense for you. I can review any video or audio you take of your child reading and offer guidance based on that. In this package, I also offer the opportunity to coordinate with a classroom teacher (if the teacher is open to it). 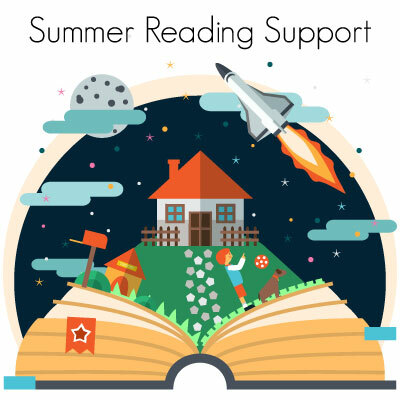 By the end of the Summer, I can put together a reading profile for your child so the upcoming teacher will have a quick, detailed preview on your child coming into the school year. ​You will receive a specific, protected webpage, so we can gather our notes and keep track of any research I provide you. You will receive tips, reminders and resources - on a daily basis, if that works for you. I've consulted before and want to work with you. Meaning, I will work with you based on your learning style. If you like reading articles, we can go down that path. If you need a video for something, I can do that too. Just sending resources to you that are not specific is not helpful. I aim to be helpful, and if something is not, I am not offended if you tell me. This Summer package is very customizable to your needs. We will start with a phone conversation to determine your specific needs and go from there!